This summer fruit caprese salad is healthy, easy, simple & full of fresh produce. 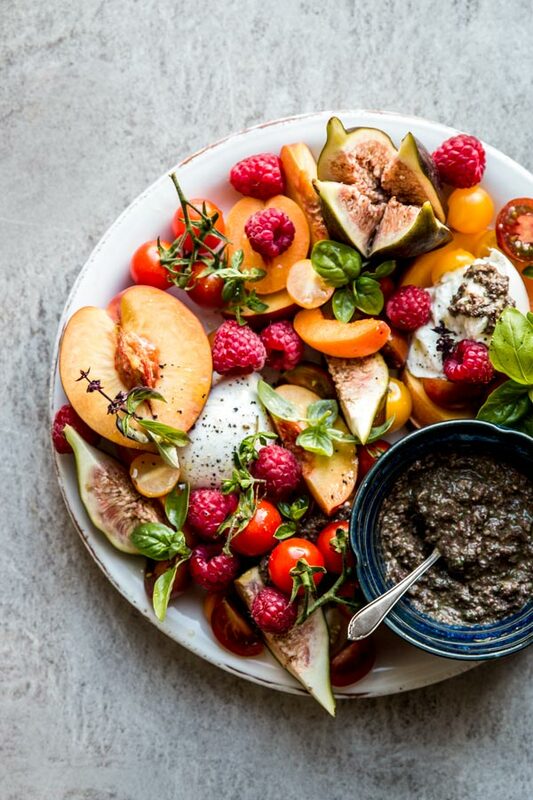 Cherry tomato, peach, raspberry, figs and more stone fruit turn it into the best with buffalo mozzarella or burrata. Traditional Italian caprese doesn’t have a dressing with balsamic vinegar. Instead, serve with black olive and basil pesto on the side. The perfect meal with a loaf of ciabatta bread. Arranged on a platter for nice presentation, great to impress a crowd at your next dinner party.